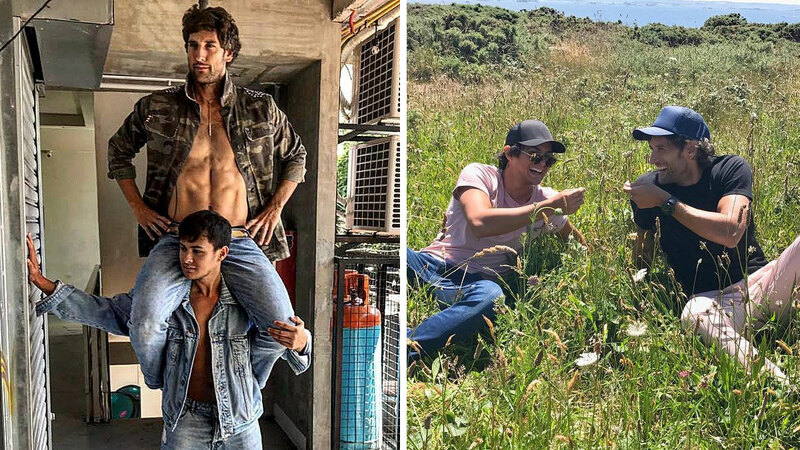 It's a truth known to the Instagram community that Nico Bolzico and his brother-in-law Erwan Heussaff are the best of buds because of their many bromance posts throughout the years. With Erwan currently overseas, Nico just had to get a bro replacement in the form of the "Italian stallion" Matteo Guidicelli. And judging from Nico's most recent Insta post, the two seem to have gotten really close. Writing on the caption, Nico said: "Bromance level: 'my bolz are against your neck and we still smiling and posing.'" Since Nico and Matteo seem to go around different social circles, just how did they become friends? Digging deeper on Insta, we found out that they attended a wedding in France in June, along with Erwan, Solenn Heussaff, and Anne Curtis.